California's SunPower is planning to build three new Chinese solar farms for Apple with a peak capacity of 170 megawatts, the company said in a newly-submitted regulatory filing. The farms are destined for China's Inner Mongolia region, and will be jointly owned by Tianjin Zhonghuan Semiconductor and a third partner, Bloomberg reported. The project should be completed sometime in 2016. A 100-megawatt farm is coming to Shangtuhai Village, while 50 megawatts will be based in Mandahtu Town Sunite Zuoqi. The remaining 20 will flow from Qianbaimiao Village. 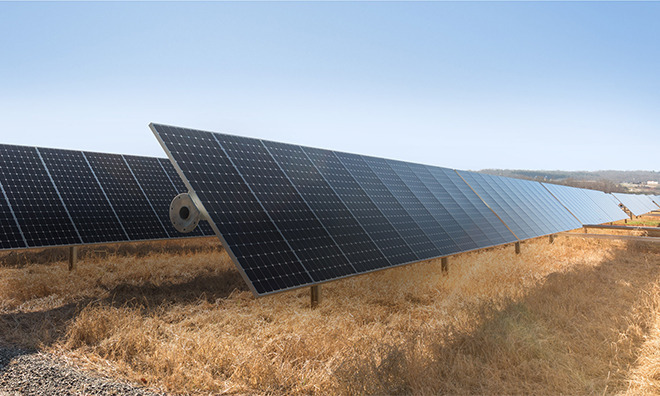 The third investment partner wasn't identified in documents, but SunPower CEO Tom Werner said that Apple will be taking an equity stake. SunPower has already agreed to build 40 megawatts of capacity in China's Sichuan province, part of a larger effort to offset the power consumption of Apple's operations and suppliers. Much of the Chinese power grid is still dependent on coal, contributing to local air pollution and global climate change.